Few tree species are as strong a Nordic symbol as the alder. Few Nordic people, especially in our native Finland, have never sat on the black alder benches of a sauna to enjoy the gentle heat. No other tree belongs more to the shores of the thousands of our lakes, either. Black alder is an integral part of the Nordic landscape. The Nordic cuisine draws from alder, as well: smoked salmon, a traditional Nordic delicacy, is traditionally cooked in thick amber alder smoke. Alder is an intrinsic part of the Nordic culture. As a wood, the alder is warm and gentle. 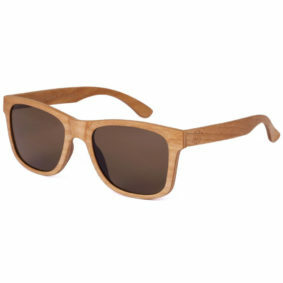 When subjected to oxygen and sunlight the wood changes its color to a warm rosy tint. For this reason, black alder is highly appreciated by sauna builders and furniture manufacturers all over the Nordics. The intensity of the color depends on the time of year the tree was felled, the location it grew in and the way the wood was dried. 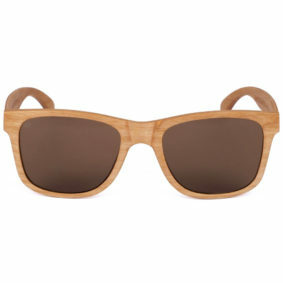 Black alder gives your wooden sunglasses a playful lightness and a sunny summer spirit.